Citation: Ma, Xiaoyi, and Stephanie Strassel. GALE Phase 1 Chinese Broadcast News Parallel Text - Part 2 LDC2008T08. Web Download. Philadelphia: Linguistic Data Consortium, 2008. GALE Phase 1 Chinese Broadcast News Parallel Text - Part 2 contains transcripts and English translations of 21.9 hours of Chinese broadcast news programming from China Central TV (CCTV) and Phoenix TV. It does not contain the audio files from which the transcripts and translations were generated. GALE Phase 1 Chinese Broadcast News Parallel Text - Part 2 is the second of the three-part GALE Phase 1 Chinese Broadcast News Parallel Text, which, along with other corpora, was used as training data in year 1 (Phase 1) of the DARPA-funded GALE program. GALE Phase 1 Chinese Broadcast News Parallel Text - Part 1 was published in 2007. A total of 21.9 hours of Chinese broadcast news recordings were selected from two sources, CCTV (a broadcaster from Mainland China) and Phoenix TV (a Hong Kong based satellite TV station). The transcripts and translations represent recordings of four different programs. A manual selection procedure was used to choose data appropriate for the GALE program, namely, news programs focusing on current events. Stories on topics such as sports, entertainment and business were excluded from the data set. 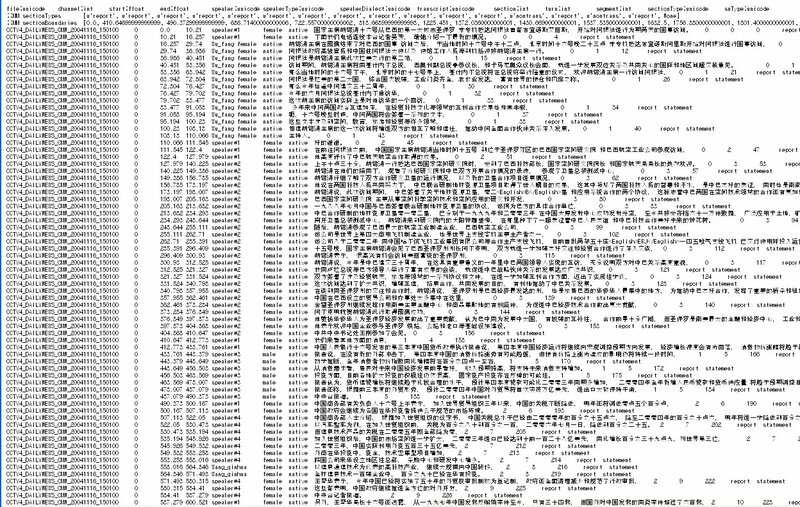 The following table is a summary of the files included in this release. After transcription and SU annotation, files were reformatted into a human-readable translation format and assigned to professional translators for careful translation. Translators followed LDC's GALE Translation guidelines, which describe the makeup of the translation team, the source data format, the translation data format, best practices for translating certain linguistic features (such as names and speech disfluencies) and quality control procedures for completed translations. 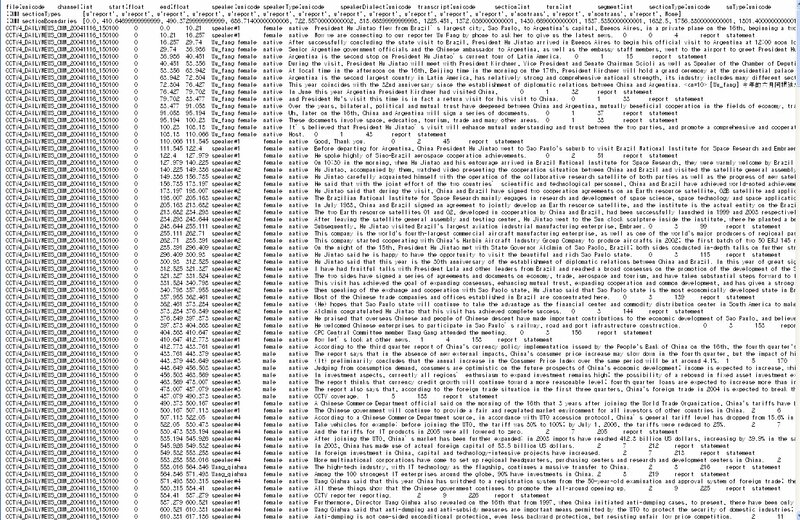 For an example of the data in this corpus, please examine these sample images of a source and translation.